There was to be a Co-Op store and later the original Tonys Discount Food shop before it moved later to Roundtree Way and butchers next to Studio 25 hairdressers. Used to be in the new flats next to 25 Company hairdressers. 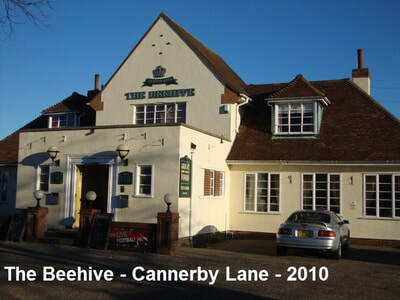 There was another butchers which is still there called Beehive Butchery. Photo: Bunji Rogers. 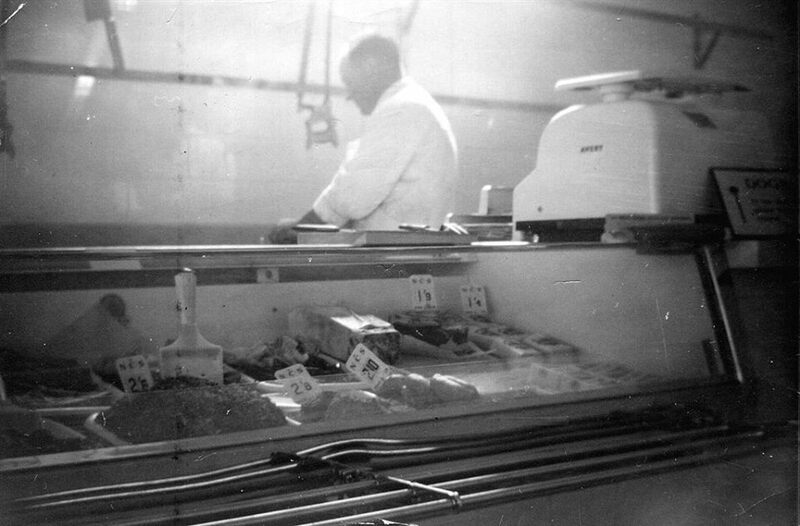 Mr Rogers at the Co-Op Butchers. 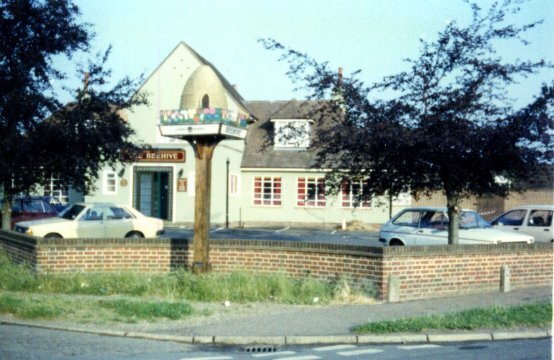 There used to be a pond where the green is now in front of the shops and Old Beehive pub. 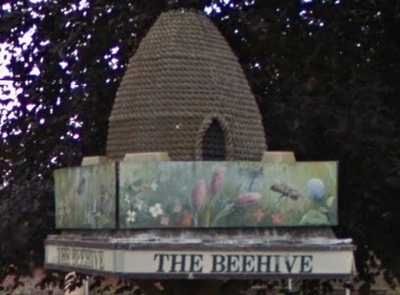 Know the previous names? Let me know. Opened on Monday 8th July 1963 as the schools on Recreation Ground Road were getting overcrowded. 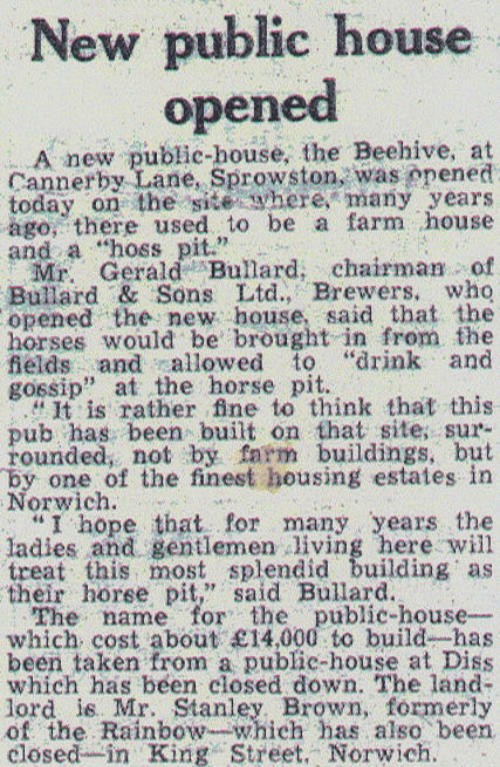 It used to have an outdoor swimming pool! 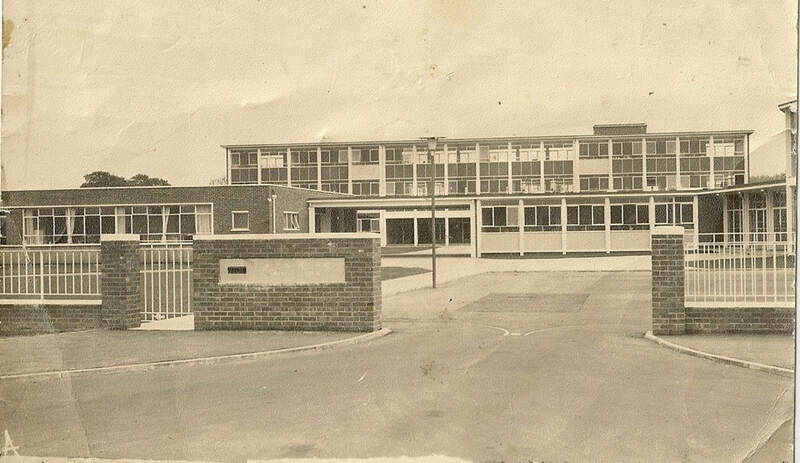 Originally built to cater for 400 pupils. 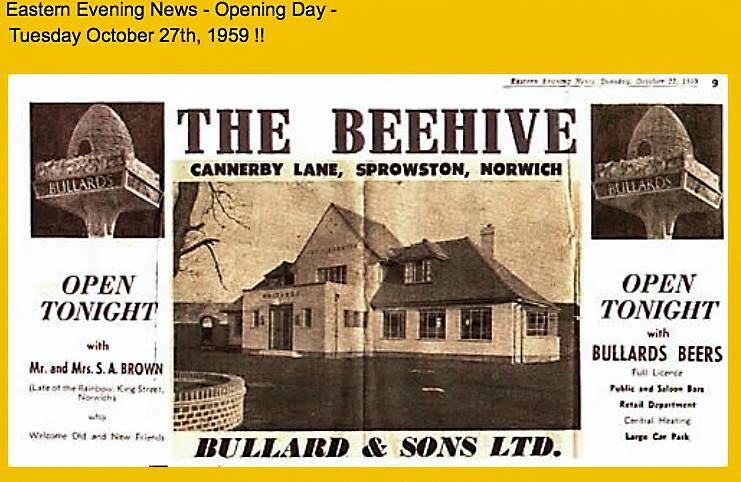 Evening News press cutting about the opening of The Beehive on Cannerby Lane on Tuesday October 27th 1959.